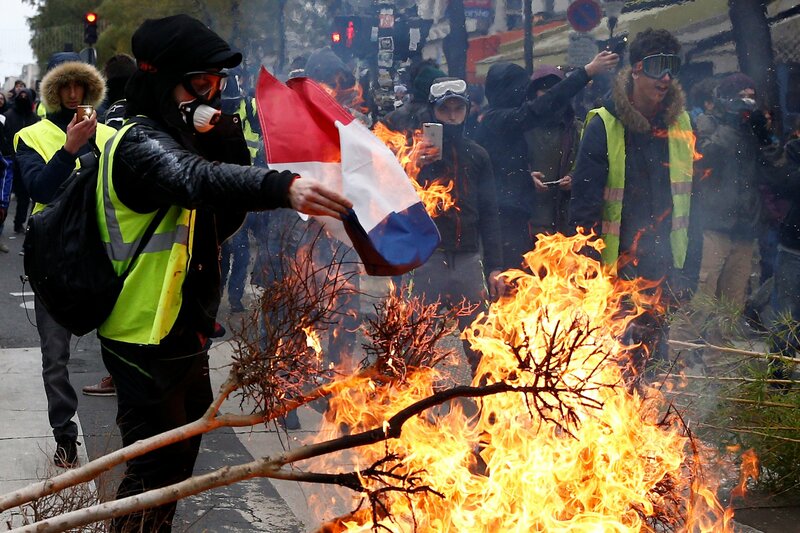 French protests over a now-scrapped carbon tax proposal are entering their fourth week, but French officials could have avoided the marches and looting if they had listened to scientists’ warnings about green reforms beforehand. French climate scientist Valérie Masson-Delmotte – co-chair of the Intergovernmental Panel on Climate Change (IPCC) – and a team of experts met with members of the French senate before protests ignited over a proposal to hike French gas and diesel taxes in 2019. Masson-Delmotte warned French politicians that green policies could spark the kind of unrest sweeping France if the public weren’t properly informed and solicited for consent, Masson-Delmotte told Climate Home News’s podcast CopCast. Masson-Delmotte lives in Paris where the protests have grown particularly violent and destructive. She spoke to protesters outside of her house who felt that the French government did not represent them. More than that, protesters felt that French climate policies were trapping them under the increasing cost of oil. Protesters “believe they have no alternative,” she said. “Yellow vest” protests, named after the yellow traffic vest worn by marchers, have rocked France since mid-November. Four people have died from reasons related to the protests since the protests started. French President Emmanuel Macron scrapped the proposal that sparked the protests Wednesday. The capitulation has not ended the protests, as a fresh round or demonstrations kicked off Saturday and has resulted in roughly 700 arrests. Environmentalists are unhappy with Macron’s attempts to appease the working-class French who are marching against green policy. “If France is putting a brake on the carbon tax, it puts a brake on energy transition and sends a very bad signal to economies that rely on coal, on fossil fuels, and shows that every nation is just slowing down,” Pierre Cannet, head of climate and energy policy at World Wildlife Fund France, told Politico at the ongoing U.N. climate conference in Katowice, Poland.